Plymouth, MN is the seventh largest city in MN, located just 15 miles west of Minneapolis in Hennepin County. It is the fourth largest suburb in Minneapolis. Plymouth holds over 70,500 residents as of 2010. Once named for Medicine Lake, the name of Plymouth was chosen by Hennepin County Commissioners during the county’s inception. In 2008, Money Magazine named Plymouth the number one city in which to live in the United States. They formed this opinion based upon the honors given to Plymouth because of its residential areas, industry, parks, schools, and other aspects that make it a self-contained and essentially autonomous city. Plymouth has a humid climate which is typical of the Midwestern U.S., with hot, humid summers and very cold winters. With arctic blasts hitting the area, Plymouth has entered into winter time already this year. With average winter weather highs in the low twenties and average lows just over 0°F, it’s no wonder so many people in the area have already been prepping their homes for the cold weather. Plymouth furnaces all over the area have been supplying residents and businesses with some much needed warm air lately. And other projects and chores are being done to weatherproof the homes for the season, such as wrapping water pipes to keep them from freezing. DeZiel Heating & A/C is a quality heating & cooling HVAC contractor that offers the highest level of home comfort for residents and commercial property owners since 1997. We are here to serve you with integrity and honesty as we strive to continue upon our foundation of excellent service. When something does go wrong or you need your entire unit replaced, you need a professional to handle the job for you. You need someone you can call upon who will be able to handle your repair or replacement. There are many mechanical parts to your heating and air conditioning systems that seem to go unnoticed by most property owners. 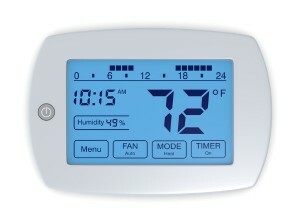 However, the proper functioning of these parts are vital to the effectiveness of your heating units. If one part is weakened or breaks down, it weakens the rest of the entire system. Maintaining the parts of your heating and air handling systems is important to keep your heating and air running and serving you. Regular cleaning and maintenance as well as inspections should be done on your duct work, vent work and gas lines. Be sure to schedule an appointment to have these items inspected this wintry season so you can do everything you can to avoid any potential breakdowns in the future. To learn more about all of our services, please feel free to call us at the number below.